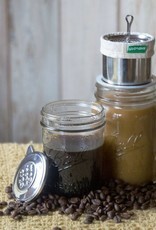 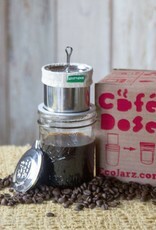 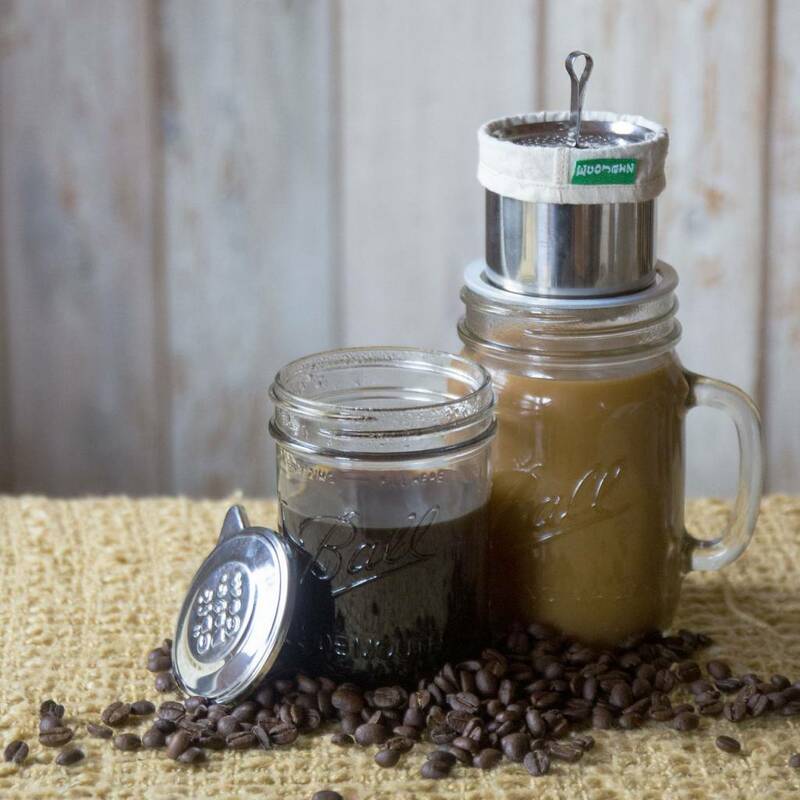 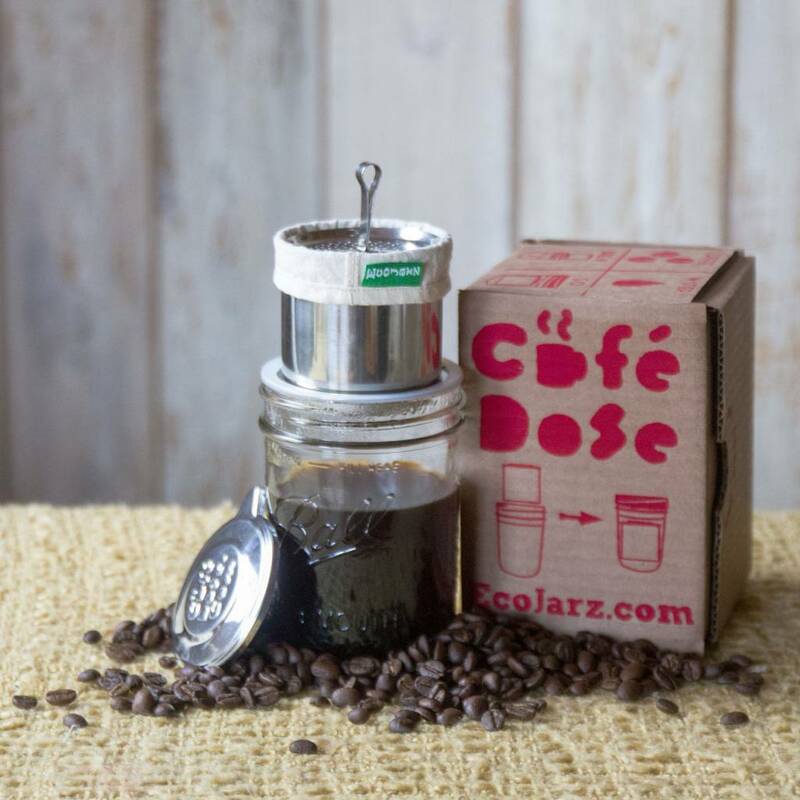 EcoJarz DOSE is a perfect personal coffee and tea maker ready to perch atop any mason jar or mug. 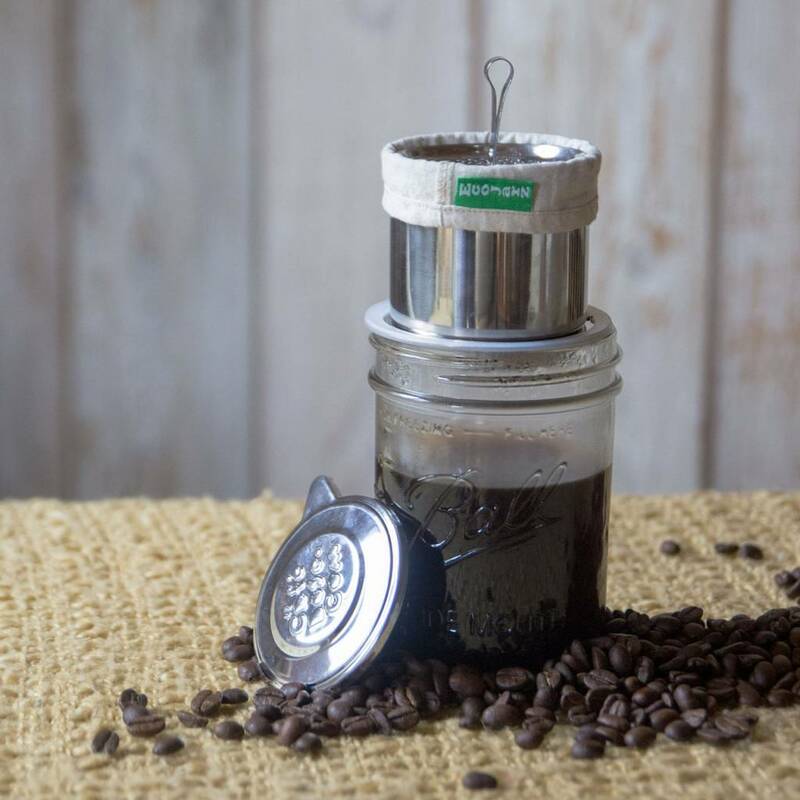 Made of high-quality stainless steel, it comes with a reusable cotton filter. 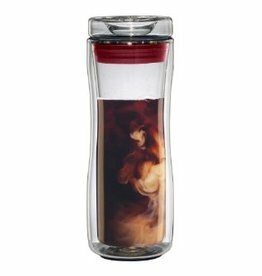 Fits both wide and small mouth jars and many mugs! 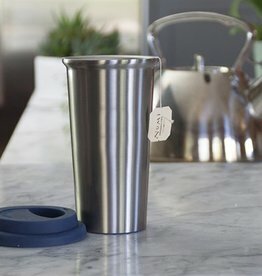 100% reusable. 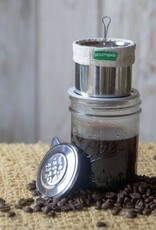 Makes for a great gift, and ideal for on-the-go brewing. 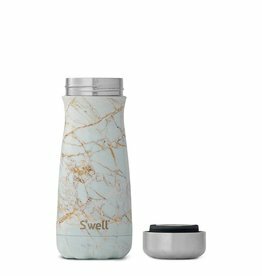 Made of 18-8 food grade 304 stainless steel with an FDA-approved silicone gasket to prevent spills and leaks!